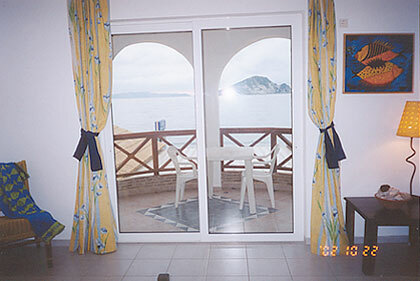 Our studios are for 3 persons (fourth person can be arranged) with fully equipped kitchen, bathroom and independent big balconies (veranda) with view to the seaside and Marathonissi island the place where careta-careta lays it's eggs. Our appartments are for 4 persons (fifth person can be arranged) they have a big bedroom with double bed and living room with 2 single beds, fully equipped kitchen and independent balconies with view to the sea. The rooms are just 5 meters from the coast. All visitors have their own parking space. At Keri Lake you can find nice restaurants and taverns, supermarkets etc. 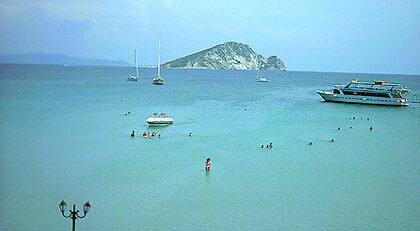 There are numerous possible activities like boat renting, cruising, diving and more. Also the area is ideal for water sports like ski, diving, surfing & scuba-diving lessons. The Keri Lake area combines the green of the mountain with the blue of the sea. The nearby mountains are great for long walks, mountain bike and offer extraordinary view. 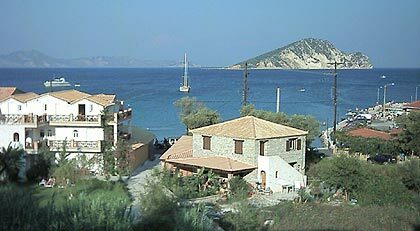 The airport is 15km away and the city of Zakynthos 20km. Keri Lake is situated in the gulf of Laganas where is the protected National Sea Park where the careta-careta lays its eggs.